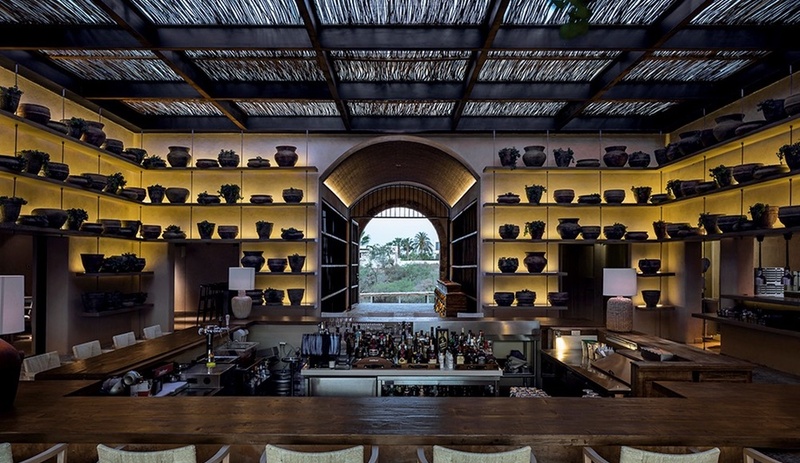 The São Paulo studio has created a cosmopolitan seaside gastrobar in Baja California Sur, Mexico, with roots in local materials and methods. 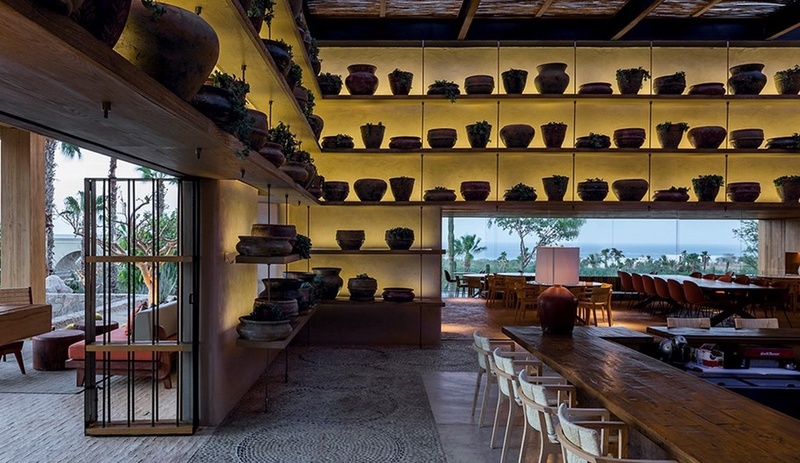 When the architects of Studio Arthur Casas were tasked with re-imagining a resort restaurant in Los Cabos, Mexico, they turned to their surroundings for inspiration. The existing structure was surrounded by desert flora and fauna, with arresting views of the Pacific Ocean. 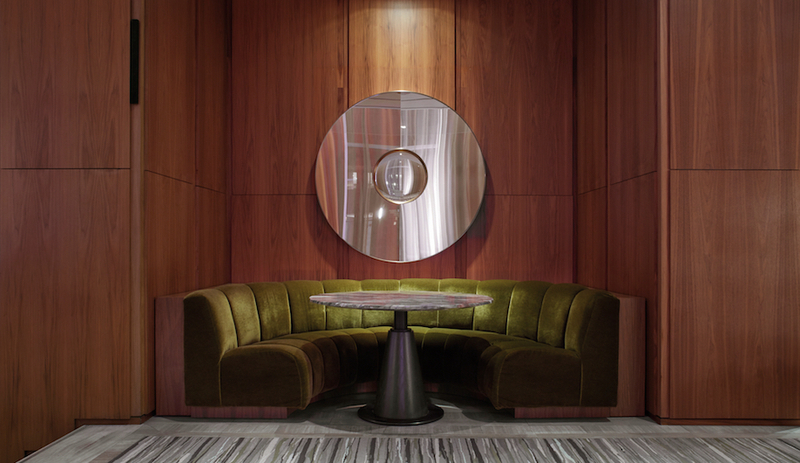 The firm sought to integrate the impressive landscape, blending the interiors with the outdoors, and to modernize the space while still honouring the region’s history. 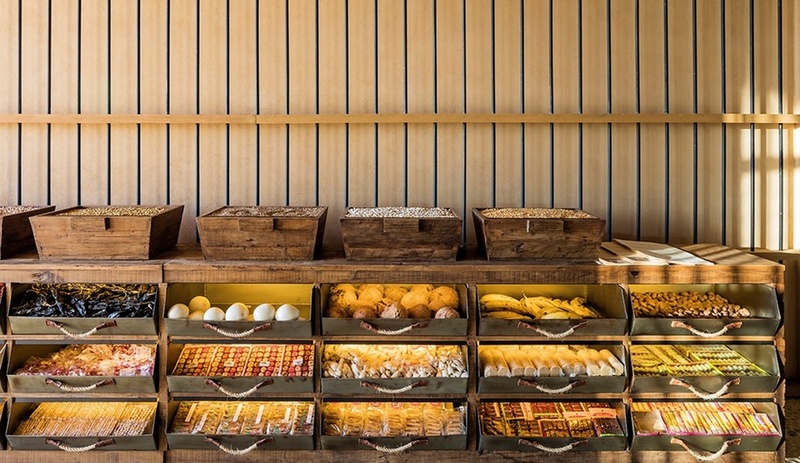 The result is an interior that feels contemporary, yet is an unmistakable homage to traditional Mexican materials and methods. 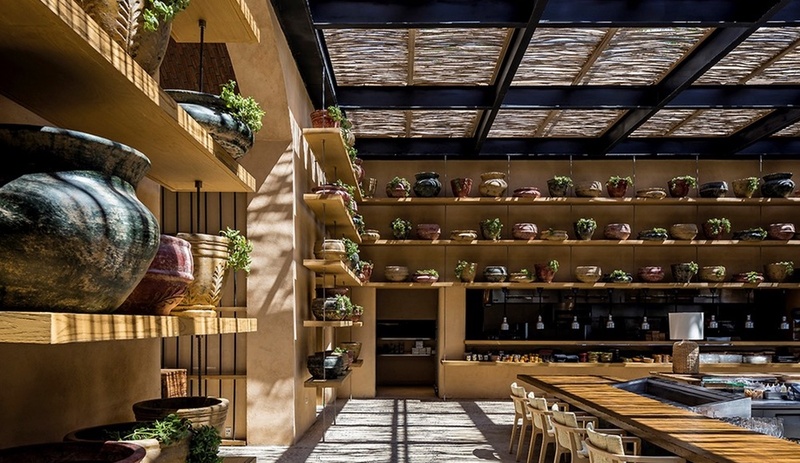 A domed corridor serves as the entrance to the restaurant, lined on one side by rustic wood flower boxes like those seen at the stalls of outdoor Mexican markets, and by a glassed-in bottle cellar on the other. 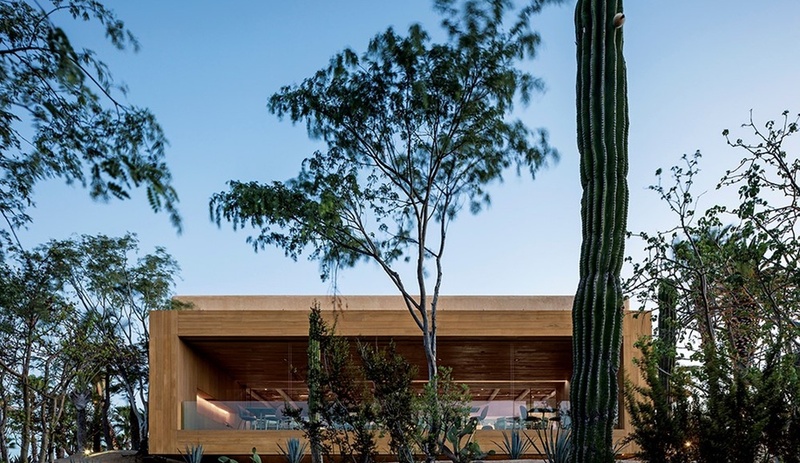 Vertical steel cables protect the walls, which the studio calls a nod to Mexico’s Spanish colonial architecture. 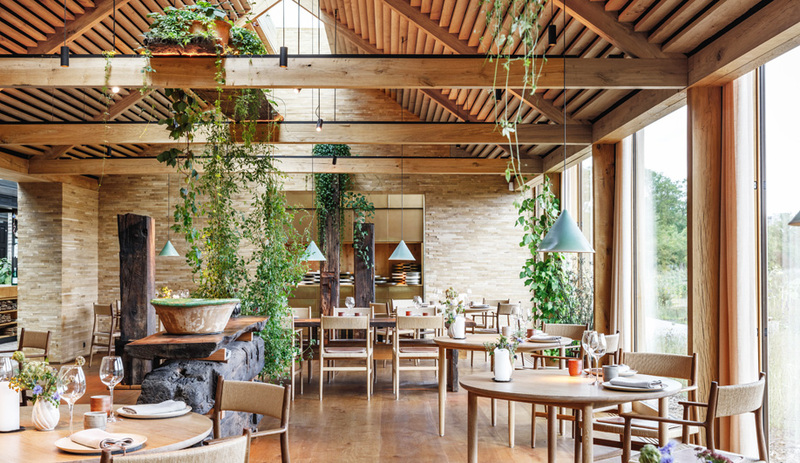 The passageway opens up into the restaurant’s central courtyard, where a raised twig pergola ceiling – supported by weathered steel beams – lets natural light bathe the room. 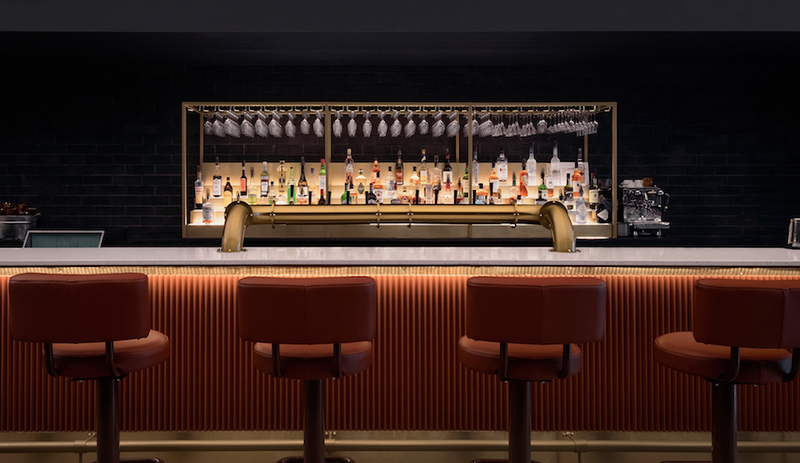 Here, a wraparound bar provides ample seating and views of the floating shelves that border the room. 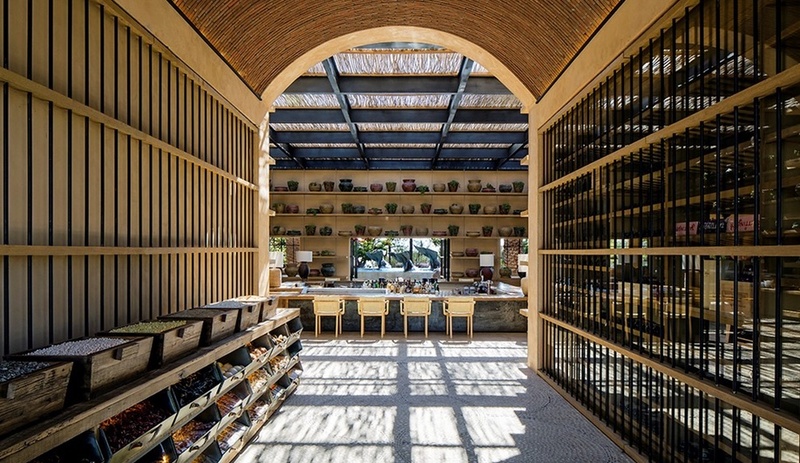 Suspended by steel cables, the shelves carry locally sourced ceramic vases, cast in earthy hues and filled with greenery. The mantles are interrupted by rectangular apertures that lead into neighbouring rooms, including a open-air terrace and a more formal dining area. 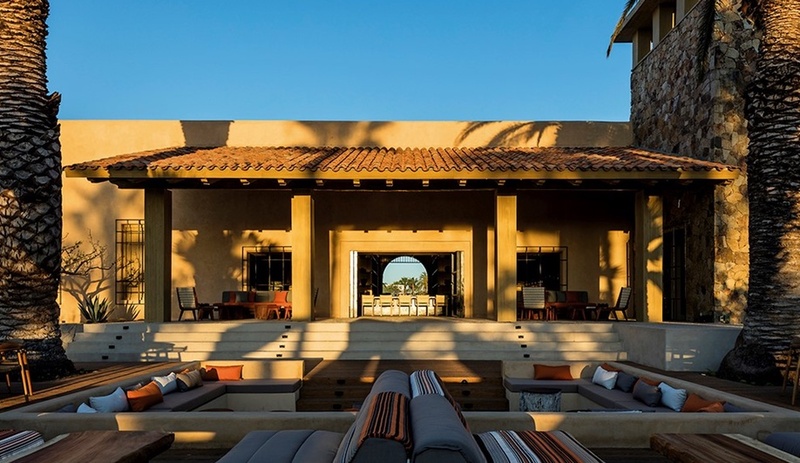 The expansive terrace – flanked by towering palm trees – makes use of vernacular Mexican construction techniques and materials, employing tile flooring, wood ceilings, an adobe-style roof and natural fabrics in shades of burnt orange, tan and grey. 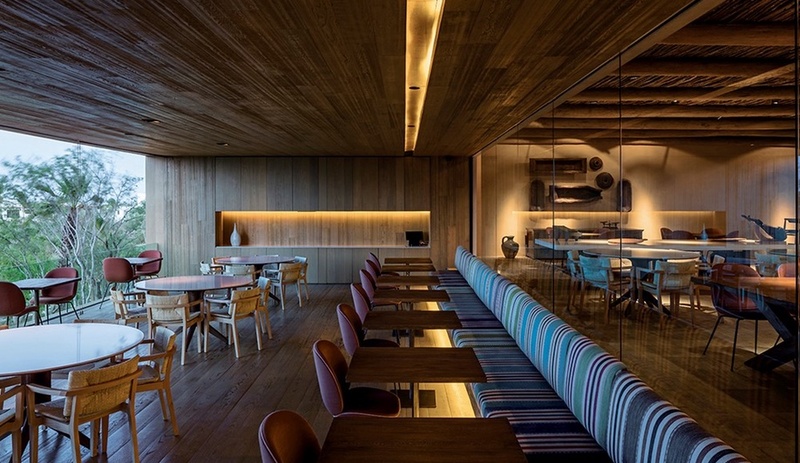 The restaurant room is contained by a cantilevered wood box that’s one level lower than the rest of the restaurant. Protected by a table-height glass railing, this area opens up towards the Pacific, welcoming ocean breezes into the room. 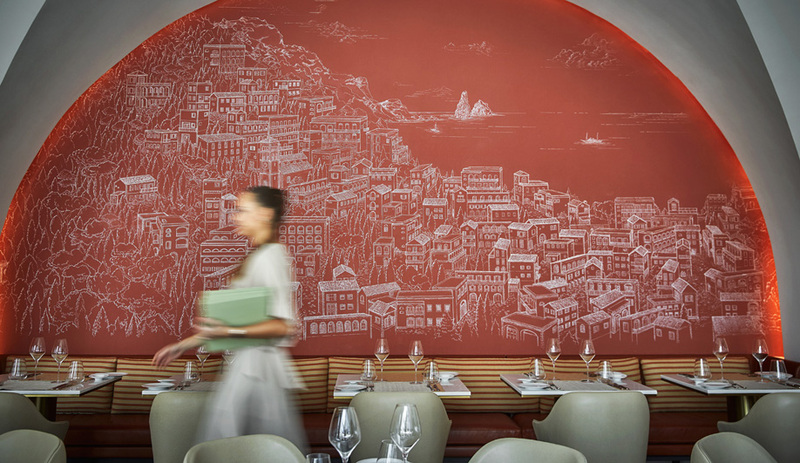 Furnishings designed by Mexican icons Clara Porset and Luís Barragan are featured throughout the interiors, joined by Italian pieces upholstered in natural fibres and patterns that reference local weaving and painting traditions.